Vancouver’s newest spot for Japanese Izakaya is finally opening today. 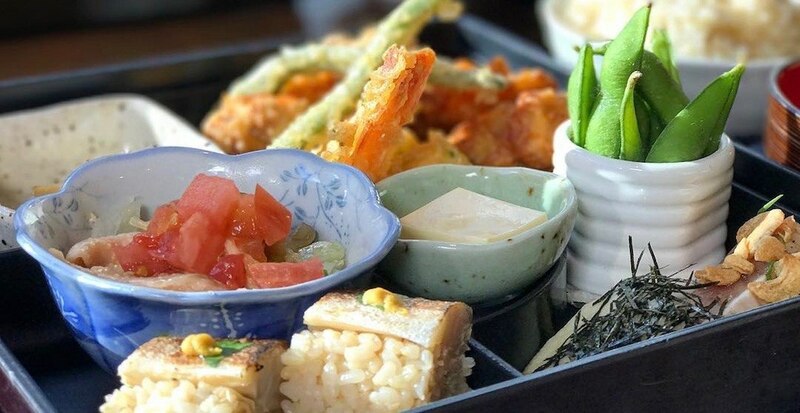 Guu Izakaya Davie, located at 1239 Davie Street, is ready to serve patrons all the fresh, deep-fried, and grilled grub goodness that we know and love from the brand’s other locations. Guu currently operates four Vancouver locations and one Toronto spot, making the new Davie Street location the sixth overall for the group. Every outpost has a distinct theme and inspiration and Guu Davie will be no different. Brand Manager Yasumi Yajima told Daily Hive a bit more about the new concept. “Since this location has a big skylight above the main bar and a south-facing patio (35-40 seats), the concept became ‘a place to enjoy drinking with moon viewing,’” said Yajima. Yajima also told us the main dining area will have 95 seats and the patio will have 35 seats, making it the biggest Guu in the Vancouver area. Guu Davie will be officially open to the public on February 11 at 5 pm.